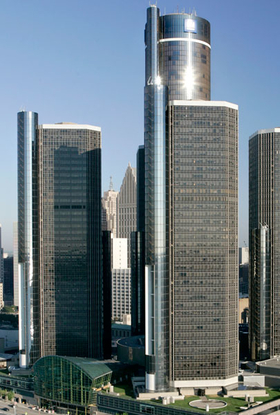 GM calls its restructuring plan Project Renaissance after its headquarters in Detroit, according to union representatives. General Motors said today that it could take "unconventional and aggressive steps" to cut costs in Europe. "We are faced with unprecedented challenges as the European markets are becoming dramatically smaller," GM Europe President Carl-Peter Forster said in a statement. Forster did specify what steps GM will take to cut costs. According to union representatives, GM has drawn up a restructuring plan called Project Renaissance. GM will present its business plan to the U.S. government Tuesday, Feb. 17. GM Europe's employee representatives said the plan was not viable and would "finish off" the U.S. automaker's European brands and companies. "The current plan could include for the Opel/Vauxhall brand and the GM/Opel/Vauxhall subsidiaries mass dismissals and probably several plant closures. This would have disastrous consequences for the GM brands and companies in Europe," said a statement from GM's European employee forum. The statement said GM management had shown main elements of Project Renaissance to selected analysts last week. It called for Opel/Vauxhall to be separated from their ailing US parent company. "The spin-off of Opel/Vauxhall and the spin-off of [Swedish brand] Saab is the only reasonable and feasible option for General Motors which would not destroy the European operations and its European assets," the employee forum said. GM said its European unit is seeking to reduce annual structural costs in order to cope with the severe economic downturn in Europe. Markets across Europe are experiencing a dramatic decrease in auto sales and it may take years for them to recover, GM Europe said. "The economic crisis and its severe impact in consumer confidence and purchase behavior will require GM Europe to take further restructuring measures, while trying to preserve as many jobs as possible," the company added. "The management will continue to discuss with the employee representatives the best solutions to make GM more competitive in these very difficult times. So far, we have nothing to announce," GM said. Automotive News Europe reported Monday that at least three GM factories in Europe could be closed as the company seeks to reduce its capacity. The company has the capacity to build 2.1 million cars, but built only 1.5 million units last year, according to analysts CSM worldwide. The three factories most at risk of closure are Antwerp in Belgium, Ellesmere Port in England and at least one plant in Germany, industry insiders believe.